DEDICATION SALON IS THE RESULT OF NEARLY TWO DECADES SPENT HONING A PASSION INTO A CRAFT. Our mission is to deliver outstanding customer service through a keen attention to detail, listening to individual needs, and continual education. We have great respect for what we do and it is our responsibility to make you love your hair. 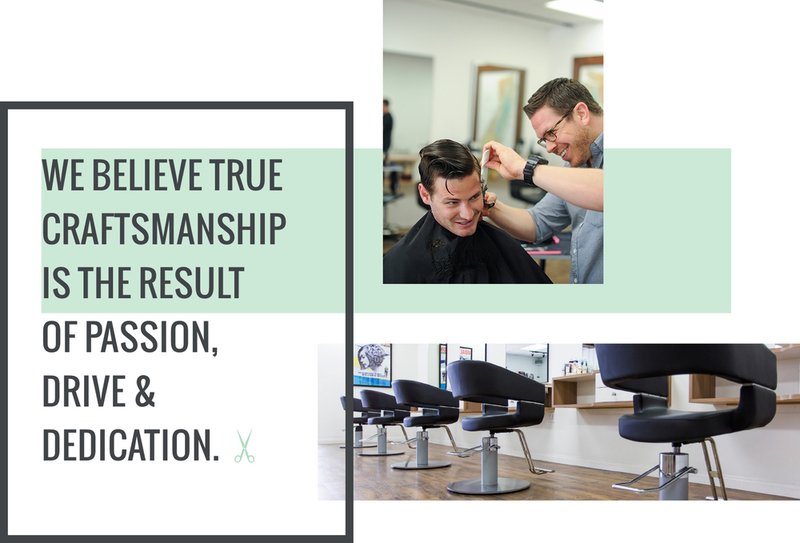 We strive to deliver an exceptional experience focused on the artistry of precision hair cutting, coloring, and styling. Going to great lengths to discover and provide our clients with superior quality products, we’re pleased to feature two exclusive collections. First, we offer Oribe, the eponymous luxury hair collection from iconic hairdresser Oribe. Second, Dedication is excited to offer R+Co, the collective-oriented collection from a rule-bending think tank of top editorial and salon stylists and educators. We believe true craftsmanship is the result of passion, drive, and dedication.